Today I have a non-blogger as my guest - I asked my lovely husband Ross, if he'd write something for me for Social Saturday. He was worried that his post would be a bit too deep and profound, but I figured that my Saturday guests were allowed to choose whatever they wanted to write about, so he could too. In a world full of noise we forget how to hear. In a world full of connection we forget how to be alone. In a world full of excess we forget how to live without. In a world full of grasping we forget how to live with an open hand. The world is restless and loud, millions of voices trying to be heard above the cry of their neighbour. Such clamour deafens me to the quiet whispers of my own soul – and its maker. I need to make time to sit and do nothing but listen. I don’t because its uncomfortable; it’s counter-cultural to be still for no good reason and it’s perturbing to not have the phone within reach. Be silent. Stay still. See. Silence sensitises us. In silence and stillness we seek to quieten our bodies, our minds and our spirits and fix our attention upon that which really matters. Community is important. Last week I did a short professional development in Neuroscience, Mirror Neurons and Talking Therapies, and the professor said the human brain needs social connections in order to functionally develop. However, serious spiritual business is mostly done in the desert. That is, in the hard, wild, solitary places where we encounter trial and growth. While solitude may be easier for some than for others, it is needed by all. Without it, we can become trite and shallow; our conversation falls too easily into meaningless yabbering filled with platitudes and clichés. Solitude isn’t to engender navel-gazing and self-loathing, but rather to encourage self-reflection and sound self-judgment. A couple of years ago it was reported Australians received $61M worth of unwanted gifts. $61M worth of unneeded clutter. You go to the homes of some people and they’re full of unneeded stuff; I know my wife’s grandmother had more than one lettuce dryer. Around our neighbourhood many people park their cars in the driveway, because their garages are packed full of stuff that won’t fit in their homes. And it’s not just possessions which choke up life. Culturally, we see busyness as a virtue. (How you going? Oh, I’ve been busy...) I see my personal value as commensurate with my productivity. · Materialism: marrying my significance to what I own. · Busyness: believing my importance correlates to how much I am in demand. · Pride: Believing – at some level – that he who dies with the most toys wins. In Australia being independent – not needing help – is celebrated. We compliment people by saying they are self-made. We like being self-sufficient and self-reliant; we are, generally, self-satisfied. What would it mean to surrender your rights, future, will, dreams, finances? That was a trick question. We don’t choose if we surrender, but rather to what or to who; you already have surrendered to something or someone. If you think you don’t need to surrender you probably already have to one of the common philosophies of materialism, humanism or spiritualism. Rather than surrendering unthinkingly to the popular impulses of the age, consider what (or who) you are giving yourself to. How about you? 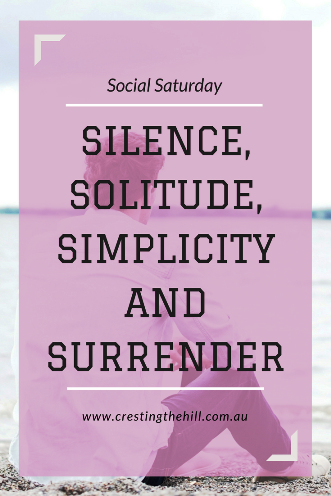 In your busy, busy world, have you space for silence, solitude, simplicity and surrender? 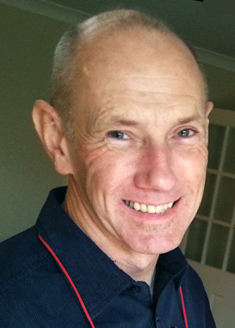 Ross Le Cras is a counsellor with expertise in abuse, addictions, adolescents, alcohol and other drugs addictions (AOD), anger management, anxiety, conflict resolution, couples therapy, family therapy, general counselling, grief and loss, men's issues, relationships, self-esteem and self-development, self-harm, stress, suicide and trauma. Dad2, I love your profound insights. I full agree that these 4 S's aren't things that many people either consider or really value and therefore there is commonly very little time devoted to them. I just think of the fact that many people (young ones especially!) can't go for a walk/run without plugging up their ears with music, car drives require the radio to be on and waiting rooms always have at least one screen to watch. 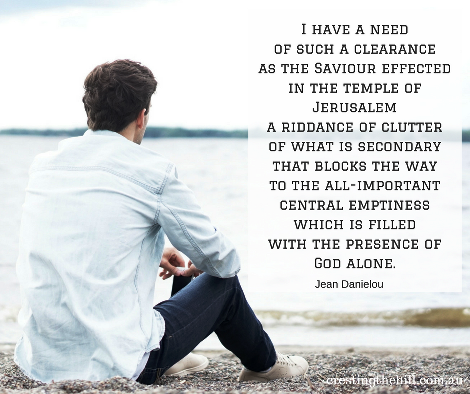 Yet silence, solitude, simplicity and surrender are the things absolutely necessary for honest self-reflection and communion with our Creator, arguably the most important things in life. We need to prioritise and make time for them. I appreciated the "deepness" of this post and the reminder it was to me to, as the Psalmist put it, "Be still and know that [God is] God." At a group clinical supervision session we were discussing the use of phone apps in the management of mental health issues, such as anxiety; what was unclear from the research was whether it was the app having a positive effect, or just having the phone in the user’s hand which was producing the brain-calm (or stupor – depending upon how harsh you want to be). It is a strange paradox that before we can live and relate successfully to others we need to be able to live with ourselves, but most people aren’t even sure who they are. I guess the four esses are a way to discover that. I think I will struggle with the four "esses" (among many other things) until glory. Even when I'm silent, I'm often still yabbering away in my head. I like Nouwen's quote on solitude, but I know that my challenge is to allow God into it and not just enjoy it for my own selfish reasons (does that mean it's not solitude any more??). When it comes to living simply, I may think I am doing this more and more, but it's always so relative (I say as we continue to renovate our home...........). As for surrender, this is one that's been a topic of discussion here for the last few years as we've considered our idolatry. It's a bit like picking lint off a dark garment - I deal with the first few bigger and more obvious bits, and only then do I start to notice the other bits that weren't quite so obvious when the big ones were glaringly before me. Thankful for His endless grace in all of this. A thoughtful Saturday afternoon read, thanks! Thanks Sue; yes, we live in a frenetic world which constantly presses in upon us (no wonder we’re all edgy and tired!) and taking time to do nothing can seem, as you note, selfish. But as has been said many times before, you can’t pour from an empty cup and we need time out to stop and refill. The surrendering and then surrendering more thing is something I have to keep working on too Sue - it seems that every time I think I'm doing well, I'm made aware of even more selfish little habits etc I have tucked away. I'm okay with being a work in progress - as long as I'm slowly moving forward. I have tried to live with less "stuff" ever since my grandmother died in 2008. She had already reduced the amount of things in her life but still, at the end, everything anyone had given her that she still had was returned to the original giver. It gave me pause. How many things do we give and receive because the occasion demands it in our culture? I'd much rather know someone donated to a charity in my name, or receive something usable and not keep-able. There's just useless stuff in our lives. Your comment reminded me of one of the first poems we studied in high school English; it was by C Day-Lewis which he apparently wrote when watching his step-mother die in a house crammed full of possessions which she was afraid to leave lest she be burgled. Ross - your thoughts on silence, solitude, simplicity, and surrender give pause. Thank you for sharing your insight. As I read I couldn't help but think that any one of the four will tend to lend itself to the other. Perhaps it is difficult for us to embrace these practices for that very reason? A good observation, Janet. I wonder, if you were to start with one, which would you choose? Janet I imagine these four would have been common practices for you in your earlier days (a bit harder with a house full of family now though!) I love that we can work on one at a time or a little bit of each - depending on what we need to find that quiet place inside ourselves. Ah yes, Leanne and Ross -- convent life certainly claimed to be built around these 4 esses. But that did not guarantee personal integration. When I was reading Ross' post, I was thinking about 'solitude' as opposed to 'isolation' - one chosen, the other forced. I think this is true of all of these esses. We need to embrace them internally not simply reside in the external - silence (stimuli deprivation), solitude (isolation), simplicity (poverty) and surrender (oppression). In convent life I often recited St. Ignatius' Suspice: "Take, O Lord, and receive my entire liberty, my memory, my understanding and my whole will. All that I am and all that I possess You have given me: I surrender it all to You to be disposed of according to Your will. Give me only Your love and Your grace; with these I will be rich enough, and will desire nothing more." And then when I started having children, I actually found myself living it far more! These really are a state of mind. As for which I'd choose to invite first Ross, I'd have to say I'm leaning into simplicity now. I find clutter and complication to be very distracting. Thanks again for such a thought-provoking post. I really like the thought about it being internal and not external Janet - it puts a much clearer focus on what's important and takes us away from letting these practices leading us in the wrong direction (it's easy to warp things if we aren't careful!) I really appreciate you replying back and adding to the conversation - this has been such a thought provoking post! Brenda there are so many layers to you! I have often wondered how you faced your cancer diagnosis and the death of James with such grace and fortitude. Knowing now that you have such interesting passions from earlier in your life - and the impact they would have had on your coping skills and your ability to function independently in difficult situations, makes me admire you even more. Thanks so much for stopping long enough to comment and to shed some more light on Ross's post. 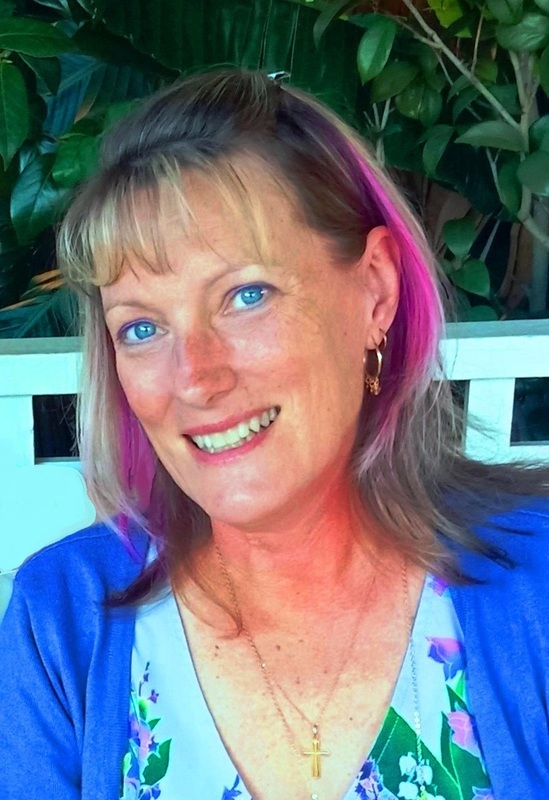 Thank you for the glimpse into your world, Brenda; it sounds like you embrace challenge! I was struck when you wrote about illness, grief and loss as being things: “…which most would consider negative experiences…” Speaking personally, I’d prefer the valuable life lessons to be learnt in times of peace and ease, but it’s seldom the way. It’s in the hard and desperate times we grow, and being able to accept such “negative” experiences as ultimately beneficial allows us to hold life lightly. We had a donation day last week where we went through our closets and bedrooms and got rid of all the things we don't use that could be donated. There is still the kitchen and office and garage to go. It feels good to let the clutter go. I am American, but I think we hold to the idea of being self-made and self-sufficient much like you Australians. Much of what you say here speaks to me. It’s a great exercise, Leah. Many people believe their possessions make them who they are, when I tend to think the opposite is true. I remember having an email discussion with a fellow I met on a hike once, and I observed that an Ethiopian goat herder would be more real and present than Robert Murdoch, because if I was to address Mr Murdoch, I would be talking to what he represented: vast wealth and a media empire. But when speaking to the shepherd, he would be who he is, nothing more and nothing less. I think Western society ties too much of their self worth into their possessions (he who dies with the most toys wins) it's a sad indictment on our world today. When you open up your hand and let go of all the stuff you're grasping, there is real freedom to be found isn't there? Ross, thank you for this thoughtful post. So much of what you've shared resonates for me. I am currently between jobs and am learning to live and find peace in that limbo state where I'm not defined by my occupation. I left my job for a number of reasons, but one was the need to have space in my life-- space to breathe, write, and simply be. I work in the field of trauma, so my work is full on and can be depleting on a lot of levels. I think the busyness and clutter (mental and physical) that defines this age is a profound spiritual hurdle. It can keep us from hearing the wisdom of our souls. And I agree that taking the time to sit still and listen can be quite challenging, yet so rewarding. Being ‘in between’ is a difficult time (I’ve been there myself), but I imagine it would be further complicated by having working in trauma, as that field always extracts a toll. 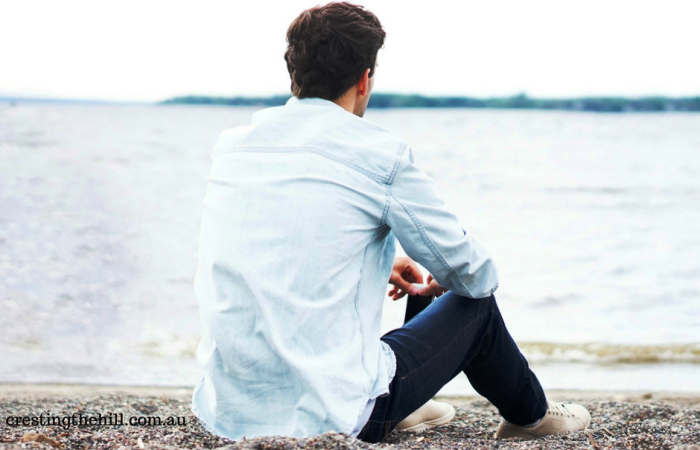 This season may be a necessary ‘repair’ time for you to simply breathe and care for yourself. Kristin I've been in soul sucking jobs where it drains you dry - sometimes you just need to step back and regroup and find your centre again. I think that's what this time is for you and you'll move onto something new once you're back in touch with yourself - re-energized and ready to tackle new challenges. My response begins with another S - synchronicity - because that's what your post offered to me today. I had just finished my newly minted 15 minute meditation practice (a good word for it as I struggle to stop getting lost in my thoughts) followed by reading and then writing in response to the reading. Today's reading was a chapter from poet and philosopher Mark Nepo's book, The Exquisite Risk. It was about the struggle to discern what is real and our desire to shortcut the agitation we feel. Nepo counselled staying open and waiting. Then you, Ross, provided the tools. I love silence, thrive in solitude (this past week didn't offer much and I was far from my best self), and champion simplicity at every turn. But surrender - oh, I am terrible at surrender. Nepo's writing and your post, Ross, have given me a way forward today. I appreciate it. And thank you, Leanne, for asking Ross to write for your blog. It was an inspired choice. That’s an astute self-reflection Karen. We all shy away from uneasiness in any of it’s guises, and it takes discipline to lean into the discomfort, to sit with it and to understand what this is saying to me and about me. Hi Ross, As I am starting a 21-day meditation sequence tomorrow, your "In silence and stillness we seek to quiet our bodies, our minds and our spirits and fix our attention upon that which really matters" is exactly what I needed to hear today! I'm very fond of silence and solitude. I struggle with simplicity in my space as I live with (and love) someone who does believe "he with the most toys wins". Surrender is a new idea to me... so perhaps that will be my second key question for my meditation series starting tomorrow. BTW - I also love deep thinking. One of my favorite things is sharing a meal (and wine) with some deep thinkers! Pat you're always tackling new and interesting endeavours. I'm really glad Ross's post has given you something extra to throw into the mix - and I hope you'll be doing a post about what you learn from your 21 day quest. Patricia - I so appreciate your situation with living with (and loving) someone who loves lots of toys. I work on my personal approach to simplicity - and embrace his with no judgement. Our common space sits in the middle and we each have a personal space - mine sparse and bare, his holds his stuff. This works for us. I appreciate the opportunity it gives me to not be so all/nothing about it - which is a default setting for me. Enjoy your 21-day mediation sequence! I love my home alone time too Sue - it's lovely having the silence and knowing that there is nothing pressing - just time to chill and enjoy the head space. Thank you so much for your lovely compliment - I think Ross probably finds my "strength and beauty" a little overwhelming at times - but I'm good for him! Ross I loved reading what you wrote here; surrender is something I have been trying to practice daily. My surrender is to my situation; stop worrying about things I cant fix and just go with the flow to see where its gonna take me. I'm so glad you enjoyed Ross's post Shalani - I struggle with similar issues to what you mentioned - we could probably both benefit from a large dose of Ross's four S's! Leanne - how lovely to meet your other half! Great post. I used to do a message at women's groups and the like about how our society glorifies being an "independent woman", which looked at what that really means and how we are all wired for relationships. He did an excellent job didn't he Janet? I love that these Saturday guest posts bring so much variety to my blog - I should have started them sooner! So nice to meet you, Ross! And what a wonderful, mindful post. I am experiencing all of these at the same time and going for quality living and starting to enjoy more of who I am. I feel that I need more quiet, calm and alone time at a slower pace, and have more regular moments with my daily spiritual devotional. Still a work in progress and realizing that multi-tasking and "busy-ness" is not always fulfilling and good quality--I am a very new blogger trying to keep it enjoyable and not a "job" which is ingrained in me, working on shaking that off. Getting back to walking, yoga and pilates this week, always helps. Hi Lori Jo! I think we all have to take stock in our 50's and start getting our life balance back - we have more time if we're working less, but if we fill it with busy-ness then we gain nothing. Having the courage to embrace the quiet and to use it centre down and enjoy our own company, discover more about God, or to re-evaluate where we want to head next, is all such a gift. Sorry for the late comment. My home computer was being a bit of a pill, not letting me comment except as my Google account, and not even then! Thank you Ross, and Leanne, for this post. Those 4 "S's" - really the secret to peace and happiness. Great post! Don't you hate it when computers decide to go AWOL Deb? They are fantastic when they're going well, and sooo annoying when they let us down. Glad you managed to stop by and I'm so happy you enjoyed Ross's post. I'm going to read this again and again . . . Absolutely wonderful from start to finish! One scripture kept coming to me as I read: Be still. And know that I am God. Being still and knowing God is so much trickier than it sounds in our noisy, busy world isn't it Diane? I think introverts have a head start on this one, but there's nothing to stop the rest of us using our down time more productively to nurture the quiet and to de-clutter our world enough to focus on who and what is important. so much to catch up on here at cresting the hill, a pleasure to meet you Ross - I am a fan of silence and love to sit in it , simplicity I enjoy and solitude is gratefully received when it is offered to me. surrender is not something that comes easy to me and so I am in deep practice to it at the moment - recently I moved away from my home and partner of 30 years and lived with uncertainty which I embraced and upon finally committing and offering my surrender to divine will I had the rug pulled out from under me and ended up back at home. recently a healer suggested I seek emptiness and I wonder Ross where you suggest this is? is it similar to spaciousness - is it in the no mind of meditation . I would be interested in your thoughts on this and you too leanne . many blessings - go deep and deeper - it is balm to our souls..
Hi Sandra, I recognise some faith traditions have the practise of emptying of the mind in order to become one with the universe (yes, I appreciate that is an overly simplistic summary, but indulge me the use of it as a general description). With respect, I’m not a fan. I’m sure you’ve heard it said, “Nature abhors a vacuum.” I’d suggest it is close to impossible to empty the mind and maintain it in such a state; something will always fill it, and it might not be something better than what was there before. It may be a better exercise to breathe out and breathe in; that is, practice an intentional emptying or discarding with a deliberate infusing or infilling. In this the individual is being focused and mindful of what they are inviting into their heads and hearts. For instance, in Christianity we seek to divest ourselves of anger, rage, malicious behaviour, slander, dirty language et al in order to promote love, joy peace, patience, goodness and so on. But it’s recognised this is an action initiated and sustained by the Spirit of God with whom we cooperate. With any spiritual discipline, we are seeking to connect to something (or someone) greater than ourselves and experience and understand something larger than anything we can self-generate. I commend you to the journey; keep on seeking truth. Hi Sandra - I think Ross said it all. I also believe that we often think that turning ourselves over to the Divine means that everything will work out happily. Sometimes God requires us to walk through the fire to burn off some of the dross - unpleasant at the time, but so rewarding in retrospect. My favorite thing is to take a walk outside, away from traffic and people so I can enjoy the sound of the breeze by my ear, the birds talking to each other, and the approach of a small airplane. Too often we get caught up in the hurry of life and do not slow down. You made some great points. You know I just have to feature this post. Thank you Ross and Leanne. My hubby and I often say that we would love people to stop and think below the surface of issues going on around us. Your 'Silence' addresses that and I love the other three S's. Full of wisdom and food for thought when we take the time to consider.